My living room has white walls again, after 10 years of yellow. I am still putting everything back in place, spring cleaning, and pouting that my curtain panels are on back order until May 9th. This is one project that is complete, my teacup shelf. 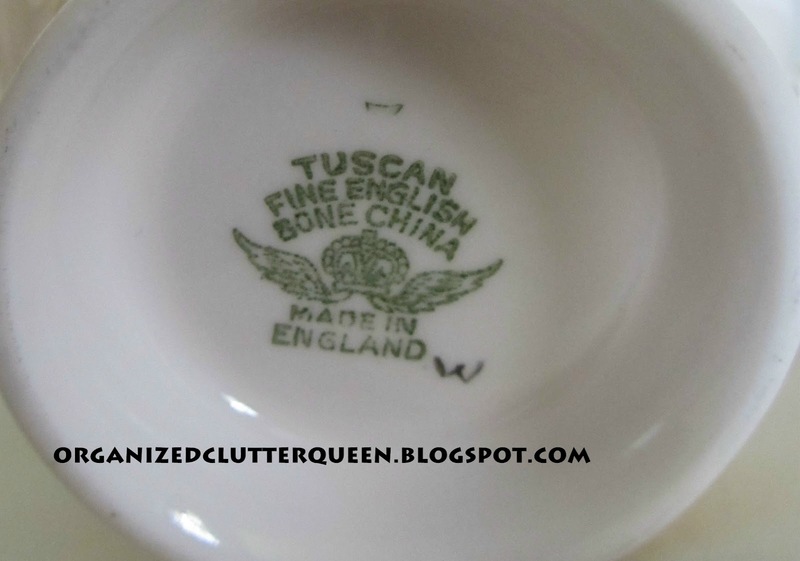 Remember my $24 antique store green shelf purchase, that I had planned to set on my mantel with teacups? The floating book "shelves" are down, even though many of you commented how much you liked them. They were not new to me, as I have had them up over 10 years. They may resurface at some time. I still have them. 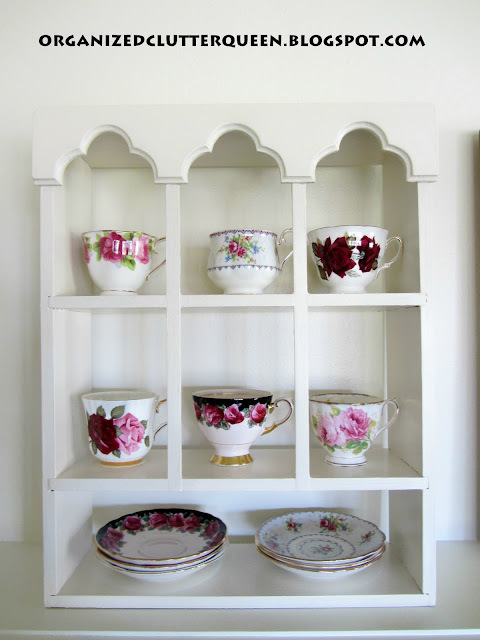 The teacup shelf is sitting on my mantel. I am still arranging and re-arranging the rest of the mantel, but I like the way this turned out. 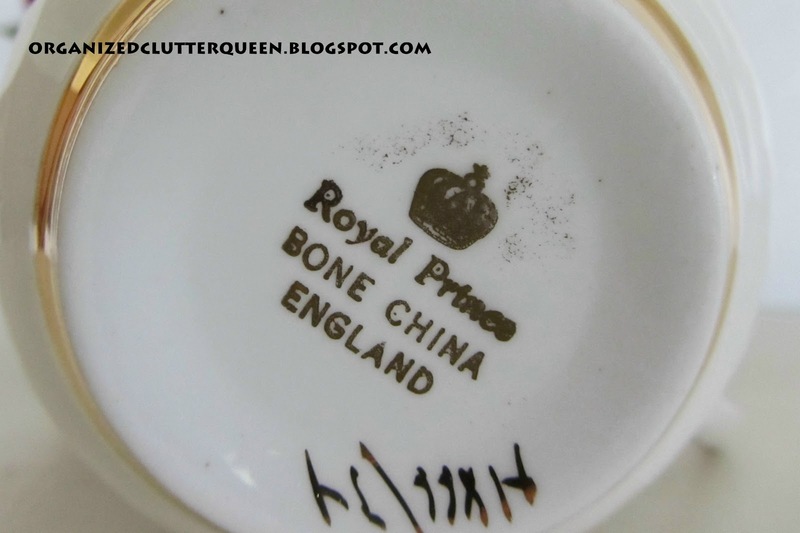 Royal Prince, Bone China, England. 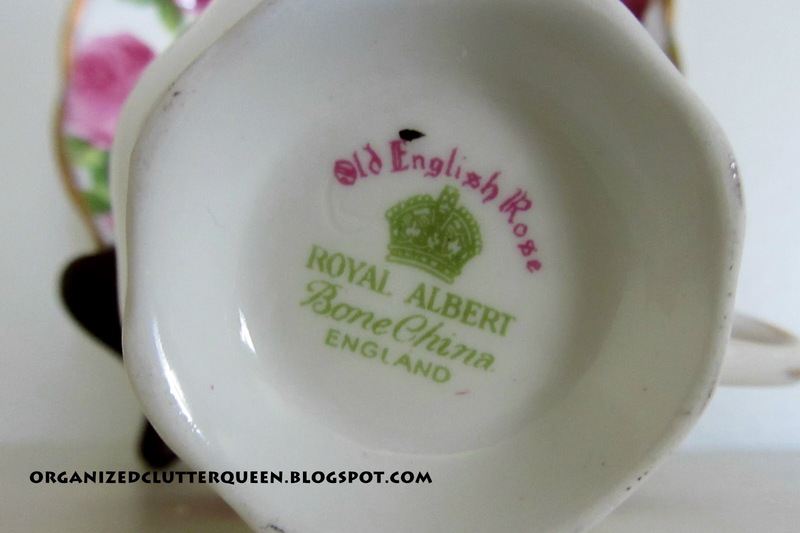 That's my teacup shelf! One part of the new mantel display! GORGEOUS! I love what you did!!! Wow it is beautiful. 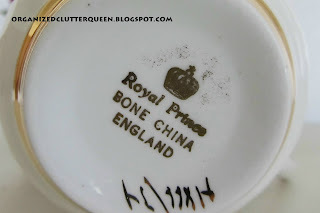 I love china. You have done a great job decorating with it! Your shelf looks lovely painted white, and it really shows off your teacups and saucers. I bet you are loving the bright white in your living room. Just in time for our spring weather!!! 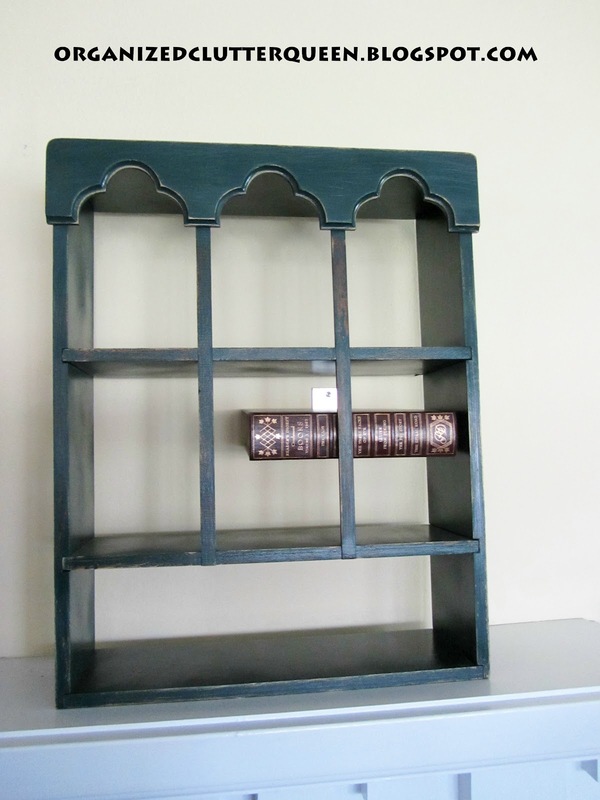 Love the white painted shelf! 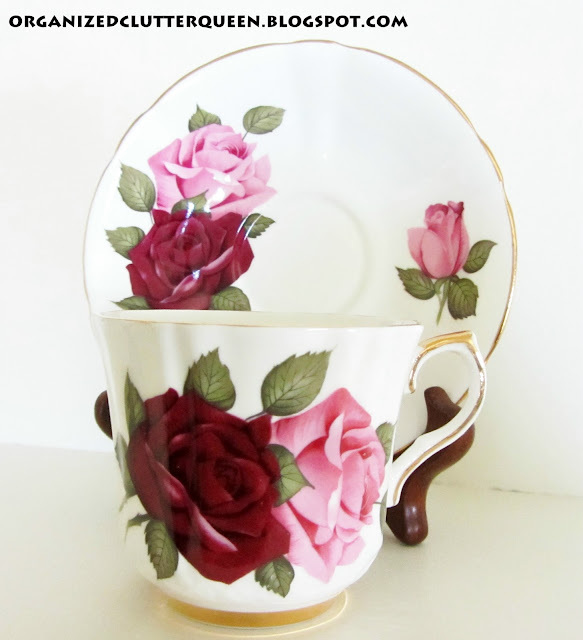 You have a wonderful collection of teacups too! GOrgeous! 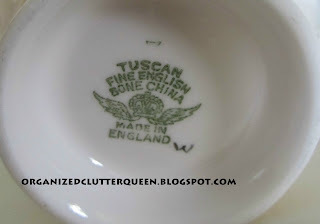 I love yellow but I have to say the white really shows off your china and the shelf turned out great too! Can't wait to see the rest of it! I need to go do something...anything! LOL! This is beautiful, Carlene. 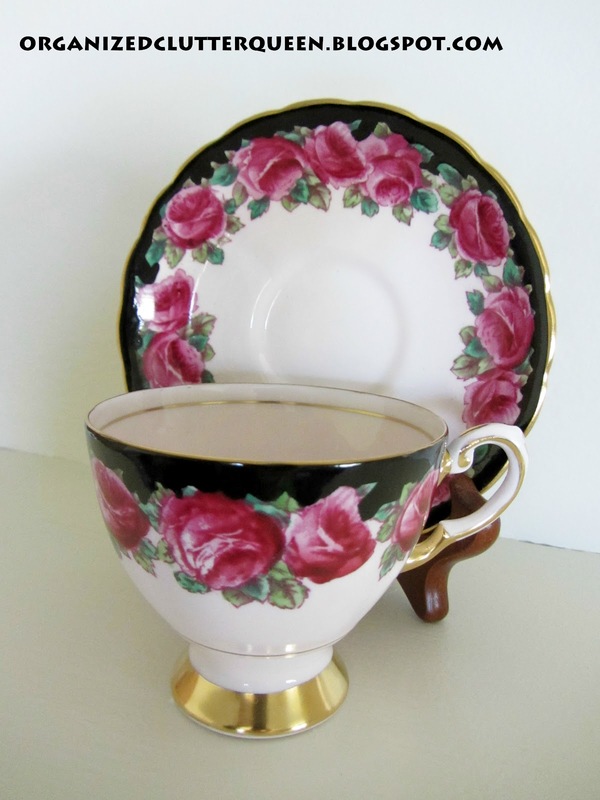 I love the new color and all your gorgeous teacups. 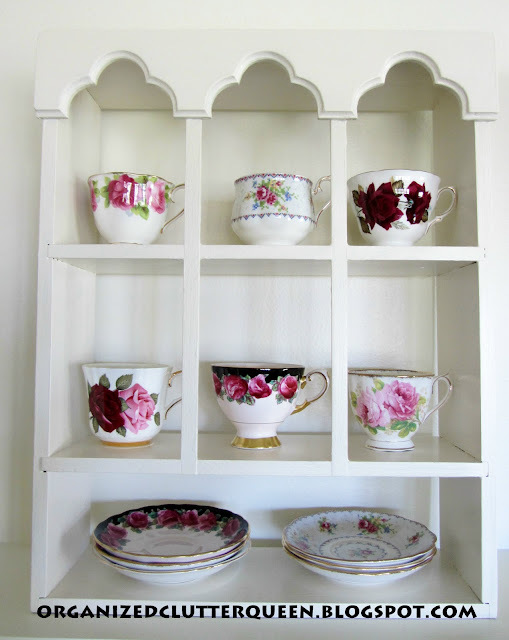 I adore the shelf and I love all of your pretty tea cups!! 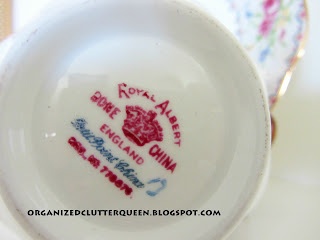 Gorgeous china! You have done a great job decorating with it! Carlene, how cute is this? 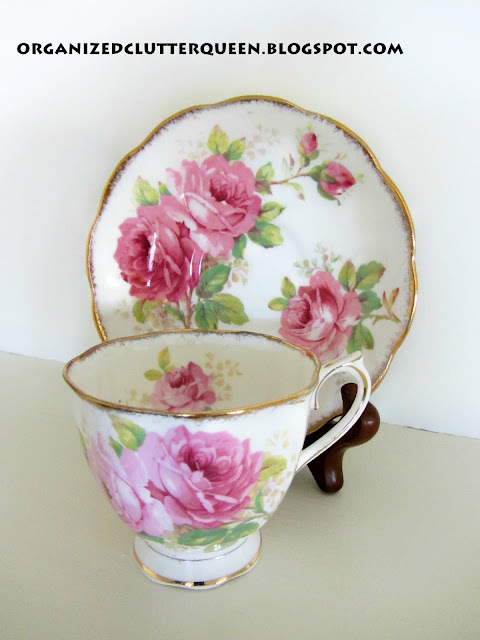 I love it painted white and such a perfect place for your teacup collection. 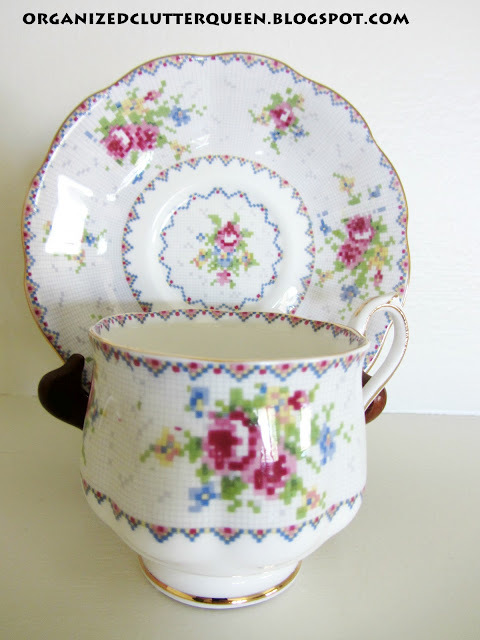 I have old teacups and vintage plates displayed on a shelf above my beadboard in my living room and I love it. This is a project hubby and I just finished a month ago. 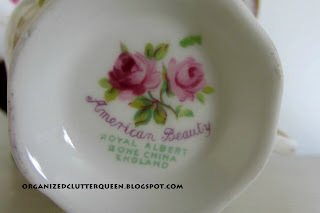 I wanted to hop over and let you know that I will be featuring your vintage bathroom tins on my blog later today. I love your new(old) white shelf and the teacup collection is beautiful. They really show up against the white. Nice job! 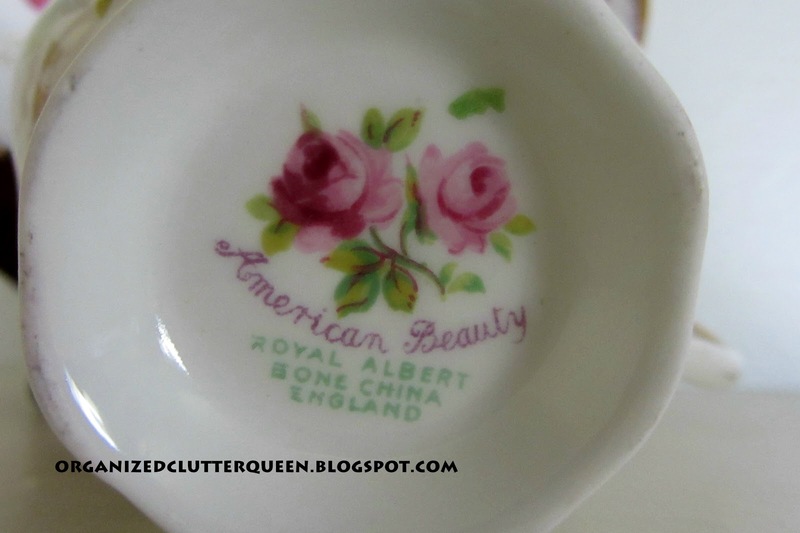 What a charming and pretty corner you've got there. I love it's "feel" if you know what I mean. So welcoming and clever. Thank you for your visit and kind words about my nightstand turned kitchen island post on my blog. You're a sweetheart. 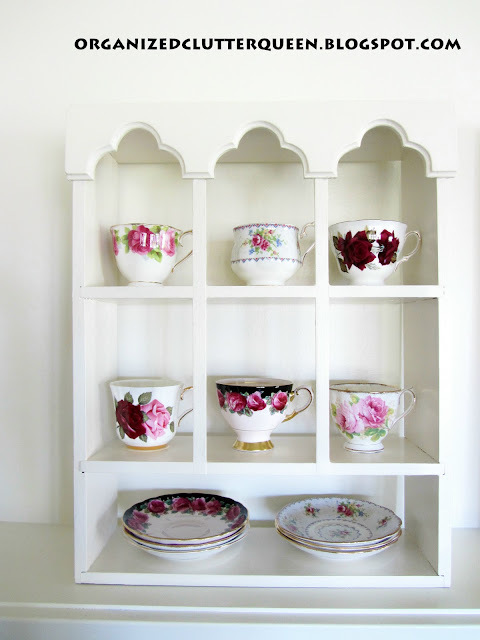 I love how your teacups look against the white shelves. 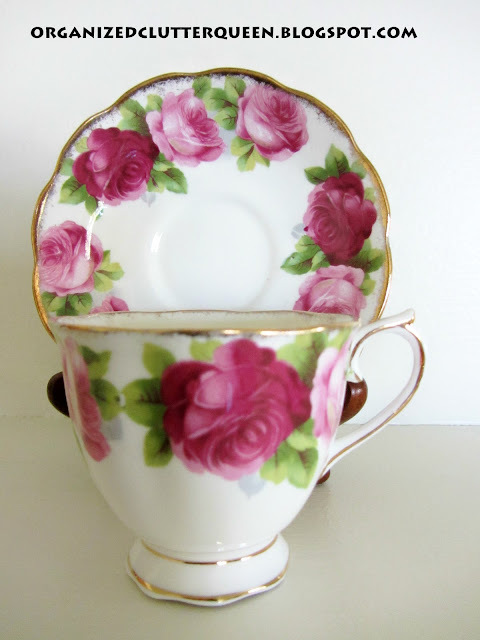 The old English rose teacup is perfect.